The latest patch for Fortnite is now live, bringing with it several quality of life improvements. Update v7.20 has officially been deployed in Fortnite, giving gamers a plethora of features and bug fixes to look forward to during their next play session. Not only will the v7.20 update improve the current Fortnite meta, it also brings with it a new loading screen that teases the upcoming launch of Season 8, and the return of popular items like the Glider. 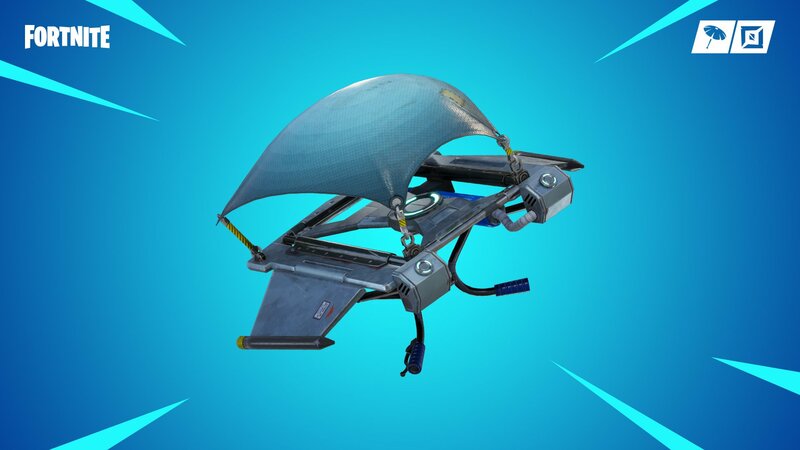 Update v7.20 includes the return of the Glider in Fortnite. After reading through the patch notes for update v7.20 posted by Epic Games, it’s clear that Fortnite players have a lot of new content to look forward to. For example, a brand new gun called the Scoped Revolver has been added and is available in both Epic and Legendary variants. While the Scoped Revolver will certainly be one to try out, especially situations requiring close-quarters combat, Gliders are arguably one of the more exciting items added through the upcoming patch. As indicated by the patch notes, Gliders take up one inventory slot but don’t need to be selected in order to use. Instead, you can activate your Glider by pressing the jump button while in mid-air. Deploying your Glider uses up a charge, with each Glider coming with 10 available charges. Note that charges aren’t always tallied. For example, deploying your Glider to respawn in a Limited Time Mode, or when using a Launch Pad, won’t consume a Glider charge. The changes made to Glider functionality is welcome in that Fortnite players won’t be able to spam or misuse Gliders during a match thanks to the implementation of limited charges. Other fixes include tweaks to low-ground building and improved UI on mobile platforms. For more on what you can expect when the v7.20 update goes live, we’ve included the full patch notes down below with info courtesy of Epic Games. Update v7.20 adds a brand new weapon to Fortnite, the Scoped Revolver. Added the Scoped Revolver. Available in Epic and Legendary variants, fires Medium Ammo, deals 42/44 damage per shot. Added Gliders, an item that grants Glider redeploy. Takes up an inventory slot, but not required to be selected in order to deploy. Activated by pressing jump while in mid-air. Comes with 10 charges, each deploy uses a charge. Minigun adjustments. Added an overheating mechanic. Overheat occurs after approximately 6 seconds of continuous fire. Reduced the wind-up time by 37%. Updated the audio for the Minigun. Balloons changed from Epic to Rare. Scoped AR decreased from Rare/Epic to Uncommon/Rare. The following projectile-based weapons now have the same projectile trajectory as the Heavy Sniper Rifle: Bolt Action Sniper Rifle, Suppressed Sniper Rifle, Semi-Auto Sniper Rifle, Hunting Rifle. Weapon first-shot accuracy now works with icy feet and while on ziplines. The reticle center dot on Scoped Rifles has been reduced in size. Total drop chance of Traps from floor loot increased from 3.98% to 4.73%.
. Launch Pad drop chance increased in floor loot from 0.53% to 0.98%, and Loot Llamas from 13.25% to 20.77%. Mounted Turret drop chance decreased in floor loot from 0.8% to 0.73%, and Loot Llamas from 20.42% to 15.47%. Small shields max stack size has been decreased from 10 to 6. Fixed a bug that could cause you to lose the ability to switch weapons if firing a Grappler while crashing a vehicle or interacting with an object during travel. Fixed a bug where your ability to fire would be delayed after discarding a Grappler. Removed the ability to ride or be pushed by a Grappler due to the ability for players to move fast enough to cause network issues. Fixed Balloons not being popped by explosions. Fixed issue causing odd dynamite size/scaling when picking it up and re-throwing. When a player is eliminated by Down-But-Not-Out bleed-out damage, the elimination distance is calculated from the original down location rather than the distance when they are fully eliminated. Fixed an issue that could cause Scoped Rifles to have full accuracy earlier than intended. Fixed an issue where the center dot of the reticle while scoped did not line up with the center dot while unscoped. Fixed dynamite re-throw ability from being canceled by changing weapons or being a vehicle passenger. Players will no longer receive credit for a “No Scope” in the elimination feed if they use a scope to eliminate a player. Gameplay Zipline improvements added including the ability to change direction via player movement input button. Rather than moving at max speed as soon as entering the zipline, players will now accelerate over time to reach that max speed. Destruction effects have been turned back on while riding a zipline. Players will destroy the nearby player buildings before attaching to the zipline so their path becomes clear. Added a third decimal place for mouse/controller sensitivity to allow for more granular values. Added functionality where an extra piece will be built for free on top of that piece. This occurs when the wall piece is showing less than 30% above ground. Building sensitivity change also applies to edit mode. Editing will no longer interrupt gun fire and pickaxe swings. Corn stalks will no longer block gunfire. Editing a structure will now begin without waiting for a response from the server. Confirming the edit will still require sending data to the server and be impacted by high ping or poor server performance. Vehicle impact damage to a player will now respect shields instead of directly applying to player health. When a plane explodes due to any reason, it will now deal damage to both passengers and pilots. This damage no longer ignores shields. Infinite dab is even more infinite… can dab for 11 hours instead of 10 hours in the lobby. Adjusted map art to more accurately represent player & marker positions. Textures of props used in emotes are now pre-streamed so scorecard and other emotes that use props will have less chance of using a low-resolution texture. X-4 Stormwing passengers now have the same Hold to Exit functionality as pilots. Fixed instances of glider redeploy not deploying when exiting a Stormwing. Fixed grenade throw animations not playing the follow-through when watching other players throw a grenade. Fixed the preview length on many emotes in the lobby to hear the full music track. Completing the “Play a match with a friend” Daily Challenge now correctly counts towards other quests that require completing daily challenges. Fixed players not being able to destroy the Boombox from certain distances. Fixed some issues with ziplines. Players will no longer be flung across the map or get in broken animation states. A cooldown has been added to ensure jump spamming will not allow players with mild network issues to fall through the zipline collision. The zipline magnet will no longer remain over players heads. Players no longer fall when colliding with enemy structures. Players no longer dismount ziplines at steep angles when under bad network conditions. Fixed an issue where players would sometimes take 2 instances of impact damage from getting hit by the X-4 Stormwing. Damage numbers when shooting Mounted Turrets now properly displays as vehicle damage instead of player damage. Players who are emoting on the starter island will no longer continue emoting after jumping from the Battle Bus. Gliders and Umbrellas will no longer appear sideways or misaligned when dropping from the Battle Bus. Players will spawn with 50 health and can only heal if they find Bandages. Tournament systems have been significantly updated to support upcoming features. Older tournaments will be removed from the Events tab on Switch and mobile devices for the time being. Data for those tournaments has been saved and will return to those platforms in a future release. Players will be automatically removed the from match after 60 seconds of spectating after being eliminated. The v7.20 patch notes indicate that Fortnite players can expect a variety of bug fixes and improvements. Fixed shield damage sound playing when shooting or getting hit by teammates. Gliders that have music can now play their music in the lobby for previewing. Reduced the volume of the X-4 Stormwing. Reduce the volume of the Boombox. Added unique bouncing sound to Dynamite. Fixed music cutting out on mobile/Switch platforms. Fixed incorrect boost audio loop for Quad Crasher on mobile/Switch. Fixed missing medium-distant Scoped AR gunshot sounds. Fixed loud winter biome ambient audio on mobile/Switch. Updated the ammo icons in the inventory to look more realistic. Building resources of spectated players are now visible. Prevent pickup HUD interaction prompts from appearing while in a vehicle, since picking up is disabled while in a vehicle. Fixed error displays when a friend request fails. Prevented special preview actions (Play Again, Switch Model, Full Screen, etc…, shown when viewing a cosmetic item) from disappearing after opening and closing the chat window. Fixed a red background showing up when the chat window is opened while doing a ‘Full Screen’ preview of a Loading Screen cosmetic. Prevented unrelated loading screens from sometimes showing up instead of the selected Loading Screen while doing a ‘Full Screen’ preview. Battle Royale players can now accept party invites from players in Save The World and join games in progress. 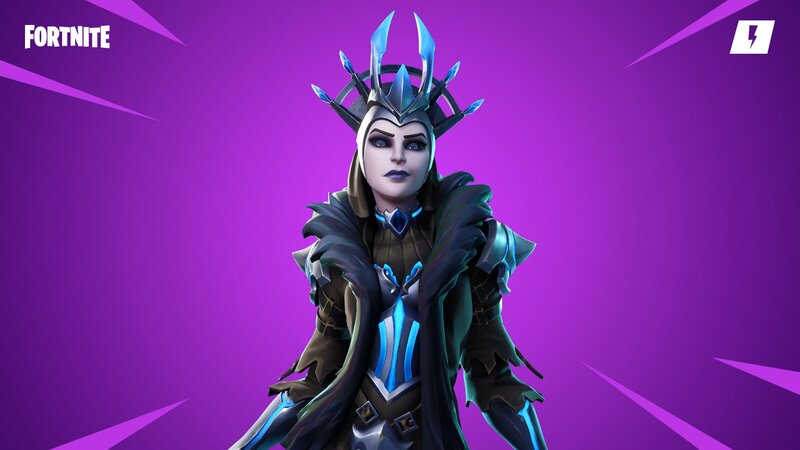 Both Lynx and Zenith now have custom idle poses in the lobby. The size of the Red Knight shield and Raven Back Bling from the Frozen Bundle now matches their original versions. Fixed a bug that was preventing the Deadfire Outfit from being reactive in game. Improved quality of the Golf Clap emote on mobile and Switch. Fixed a few replay loading issues that could cause a loading screen to appear when it was not necessary for one to be displayed. Fixed a bug causing users to aim-down-sights when exiting vehicles. Fixed turbo building while holding extra build buttons. Fixed an issue where the Add Friend button for other party members in the Main Menu was not able to be clicked on mobile devices. Added HUD button This HUD button shows when you enter the in-game settings as a separate section to turn on/off certain HUD aspects. After reading through the patch notes for update v7.20, what are your thoughts? 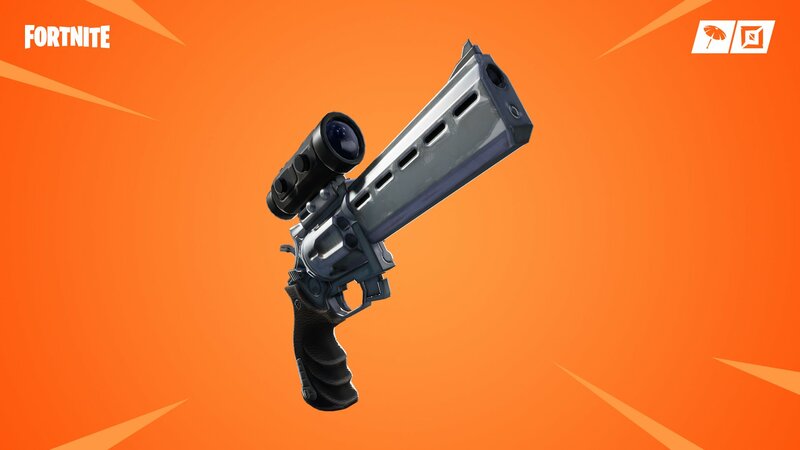 Are you looking forward to the return of the Glider, or are you more interested in trying out new weapons like the Scoped Revolver? Let us know down in the comments below!